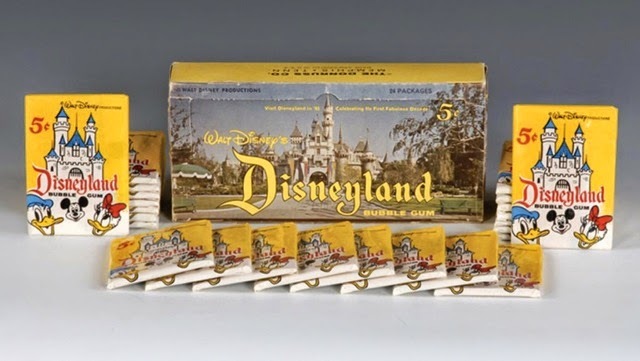 As you can see, the second version of the 1965 Donruss Disneyland cards have the text on the front of the card, and some kind of giant puzzle on the back. Maybe someday I should put the puzzle together and see what appears? 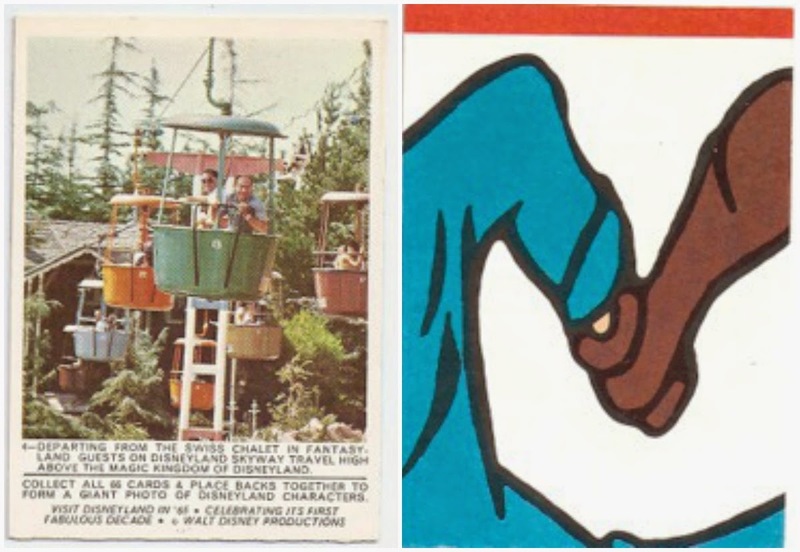 This is card number four picturing the Disneyland Skyway departing from the Swiss Chalet in Fantasyland. Look closely at the green "bucket" with the two gentlemen in the center of the card. Yep, "bucket" number 13! 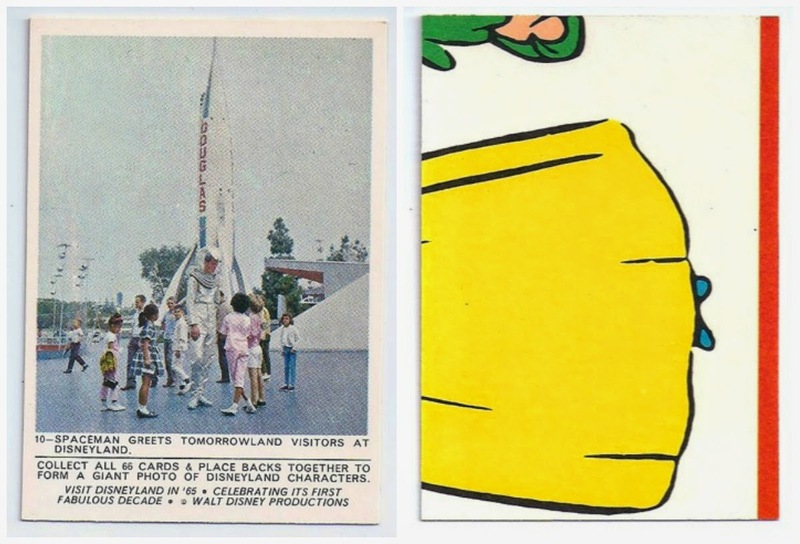 Card #10 featuring the amazing Tomorrowland "space man"
I recently purchased this full set of the 66 cards on ebay for $74.99 which included shipping. 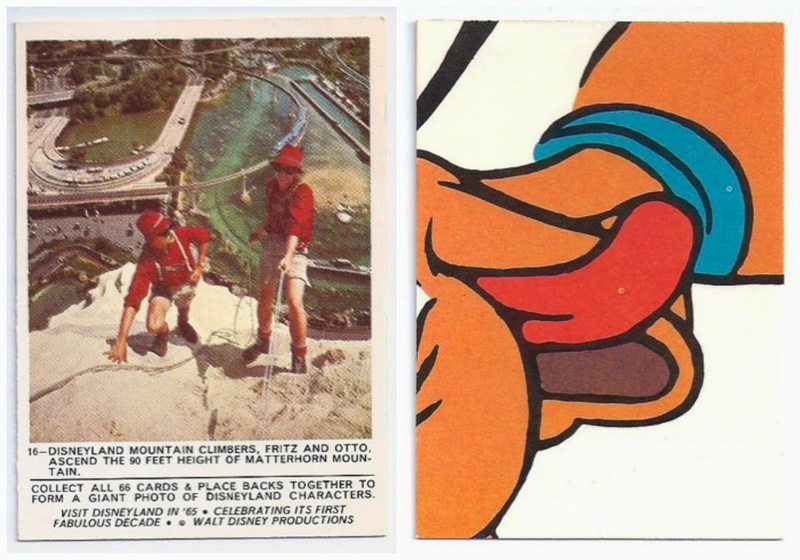 I don't really remember these cards back in 1965 as I was to busy collecting baseball cards. But for 5c you not only got a handful of cards, you got a stick of bubble gum!